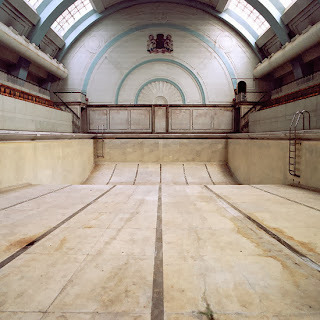 Following our submission theme this term, Lost & Found, today we bring you Absence of Water - a series of photographs by Gigi Cifali, a London based artist, that explores abandoned swimming pools across the country. In the 1930s large public swimming pools were at the height of their success, but over the past 80 years many across the United Kingdom have been closed or demolished due to lack of visitors or funding. Some of the pools are of great architectural note and survive now only as a time capsule to the past. Photographed from the perspective of a swimmer in the pool, the spaces found and photographed by Cifali are cold, ghostly and forgotten. You can view the entire series here. 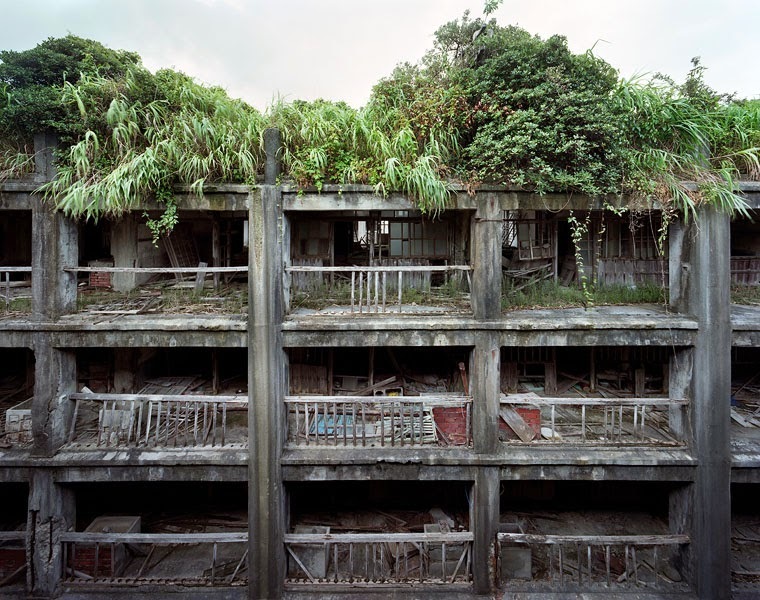 French photographers Yves Marchand and Romain Meffre have also been fascinated by places lost in time. 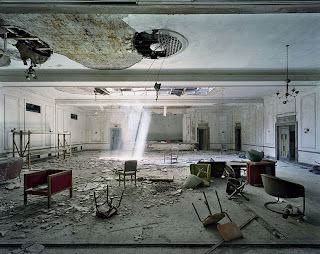 Detroit, once a thriving metropolis in the United States, now has diminished population and many abandoned areas - following the decline of the automobile industry in the second half of the 20th century. In these eerie images, clocks have stopped, dust has settled and not a figure is in sight. 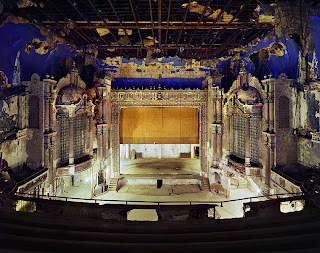 "Many times we would enter huge art deco buildings with once-beautiful chandeliers, ornate columns and extraordinary frescoes, and everything was crumbling and covered in dust, and the sense that you had entered a lost world was almost overwhelming. 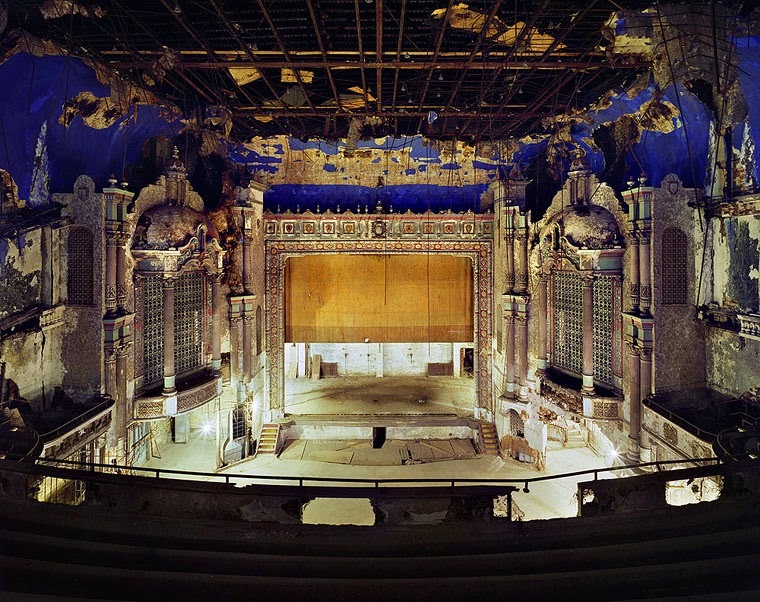 In a very real way, Detroit is a lost world – or at least a lost city where the magnificence of its past is everywhere evident." You can view all of Marchand and Meffre's work here, which also explores abandoned theatres and Gunkanjima - an uninhabited island in Japan.